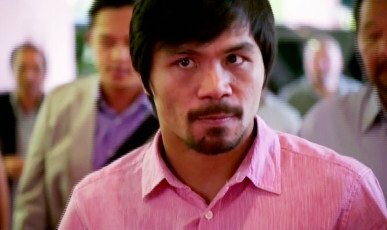 Promoter Bob Arum is looking to put together a fifth fight between Manny Pacquiao (54-5-2, 38 KO’s) and Juan Manuel Marquez (55-6-1, 40 KO’s) in Singapore or Macau in September in order to dodge U.S taxes. Arum is looking at possible casinos in both places to see which one is the best fit for the fifth and possible final fight between the two. If Arum can put the fight together, and that’s a big if, the fight could be the last one if Marquez knocks Pacquiao out cold again. He destroyed Pacquiao in 6 rounds last December and you can’t imagine that he’ll agree to a 6th fight with Marquez if he gets blasted out again. I think Arum would push for a 6th right regardless if Pacquiao gets knocked out again if the fifth fight draws more than 1 million PPV buys. Arum doesn’t have any proven opponents in his Top Rank stable aside from Marquez that can draw 1 million buys with a fight with Pacquiao. It’s interesting that Arum seems to be just assuming that he’s going to be able to convince the 39-year-old Marquez to agree to take the fight when he’s been saying for over a month that he’s not interested in facing Pacquiao again. Arum seems to think he’s going to be able to persuade Marquez to take the fight eventually for the right price, but he’s going to have to give him a lot more money than he did last time when Marquez received $6 million compared to Pacquiao’s $23 million guaranteed contract. Marquez hasn’t asked for a 50-50 deal, but he’s going to definitely want a big bump up in pay. Can Arum do this while at the same time guaranteeing Pacquiao his usual $20 million per fight guarantee? That’s the question. It’s doubtful Pacquiao and Arum will accept the fight unless he gets his $20 million, which means that Marquez’s bump up in pay can’t be much more than $10 million at best.